I first learned of the American Physiological Society sponsored event, PhUn Week (Physiology Understanding) during my year as a Frontiers in Physiology fellow. As a fellow, I created relationships with research scientists who were eager to visit my middle school students and present the work they did, as well as the path it took them to become scientists. The fellowship transformed my role as an educator, partly because it introduced me to PhUn Week which will be part of my physiology unit as long as I am teaching. PhUn Week has two components that will make every teacher happy: 1) excellent lesson plans that are ready to use, and 2) FREE STUFF! The purpose of PhUn week is to engage students in a variety of lessons regarding different aspects of physiology and disease. The lessons, developed by physiologists, incorporate technology, research, and inquiry through hands-on investigations, and are ready to be implemented immediately. In fact, there are so many high-quality lessons, that the hardest part of planning PhUn Week has always been deciding which ones I did not have time to present! 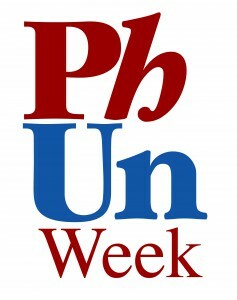 The APS has a website dedicated to PhUn Week with all of the information, lessons, suggested time frames, press releases, and more, needed for teachers planning a PhUn Week event. In addition to the student-centered, high-level lesson plans, the APS also sends “freebies” to teachers hosting a PhUn Week. In years past, some of the freebies have included string backpacks with the PhUn Week logo printed on them, anatomically accurate heart stress balls, and information regarding physiology for EACH STUDENT! The teachers and physiologists involved also receive goodies like t-shirts and coffee mugs that promote PhUn Week. week in November doesn’t work with your schedule, do it when it does! K-12 students! If you don’t already know a physiologist, the APS has a list compiled (on the PhUn Week website) of willing scientists. Meet with the physiologist at least a few weeks before the visit. The physiologist will likely want guidance on what you want them to present. When I meet with the physiologist that presents on my campus, I let her know the information I need my kids to get from her. The most successful physiologist visits have involved specimens, and stations that students rotate through. In addition to the specimens and lab equipment, the physiologist brought student volunteers from the university where she teaches. After you make your plans for the physiologist visit, fill out the media release form. Don’t forget to include all the awesome activities you and the physiologist will be exposing to your students! After you participate in one PhUn Week, you will be hooked! It is incredibly beneficial to your students, and incredibly easy to implement. Not only will you be hooked, but it is highly likely your students will be hooked on science as well. 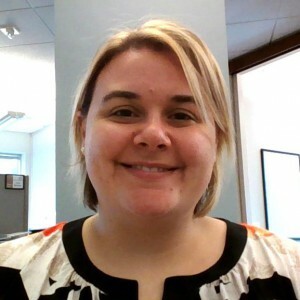 Anne Joy has served as an APS Frontiers in Physiology Fellow and as a LifeSciTRC Scholar and Fellow. 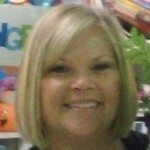 Anne teaches at Driscoll Middle School where she has been honored as Teacher of the Year.